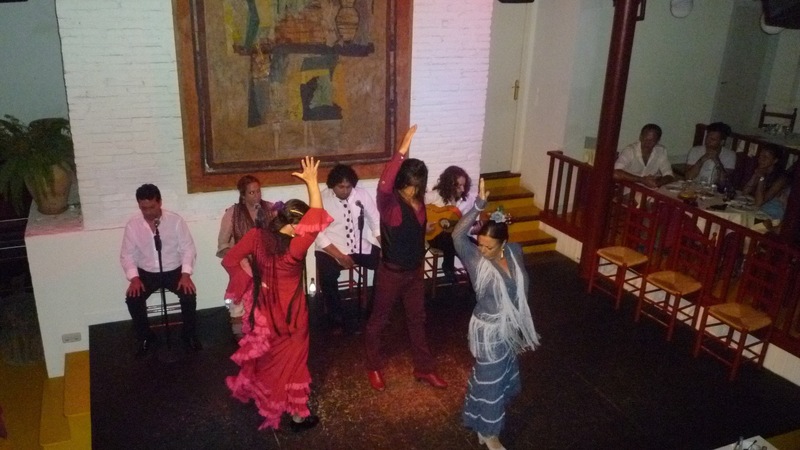 On Wednesday evening, we went to a flamenco dinner show at El Tablao de Carmen, up on Montjuic. 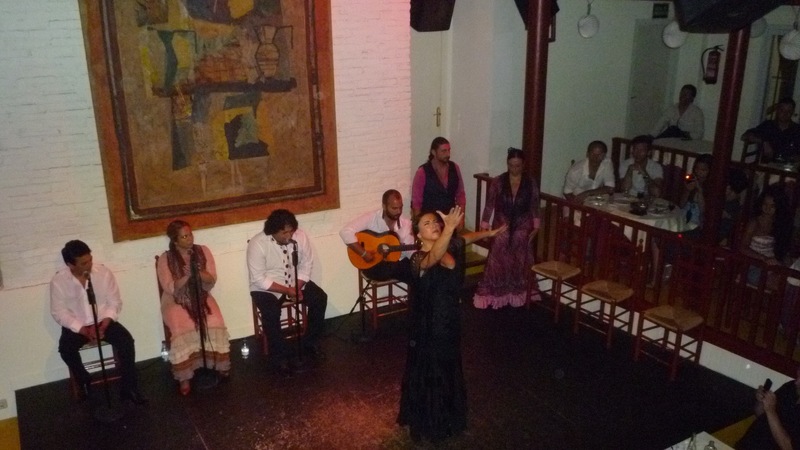 When it was first opened, the renowned flamenco dancer Carmen Amaya performed there for Alfonso XIII, King of Spain. The first half of the show was Jondo Flamenco, which is a serious style that expresses profound feelings that are often tragic. The passion with which the dancers performed and their facial expressions were very moving. The second half was Festero Flamenco, which is a lively style that deals with happy subjects. It was amazing how fast the dancers moved their feet! The entire performance was accompanied by live music and singing, which was amazing. This was definitely one of the highlights of the trip.